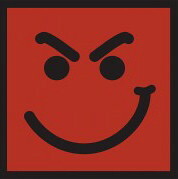 Hello Jovi team! I hope you are being good and finishing your scrapbooks! I found a shop here called "Jovi"!! I will send you all the picture soon. Omg that is so cool ! thanks for your message ! Is there any Bj stuff there or there is no link with bon jovi and the shop ! I finished my pages,and I can't wait to see the pics you take!!! WOOOOOOOOOOOOOOOOOOOOOOOOOOOOOOOOOOOOOOOOOOOOOOOOOOOOOOOOOOOOOOOOOOOOOOOOOOOOWWWWWWWWWWWW!!!!!!!!!!!!!!! Can't wait to see your pics. Subject: Re: Greetings from Madrid!